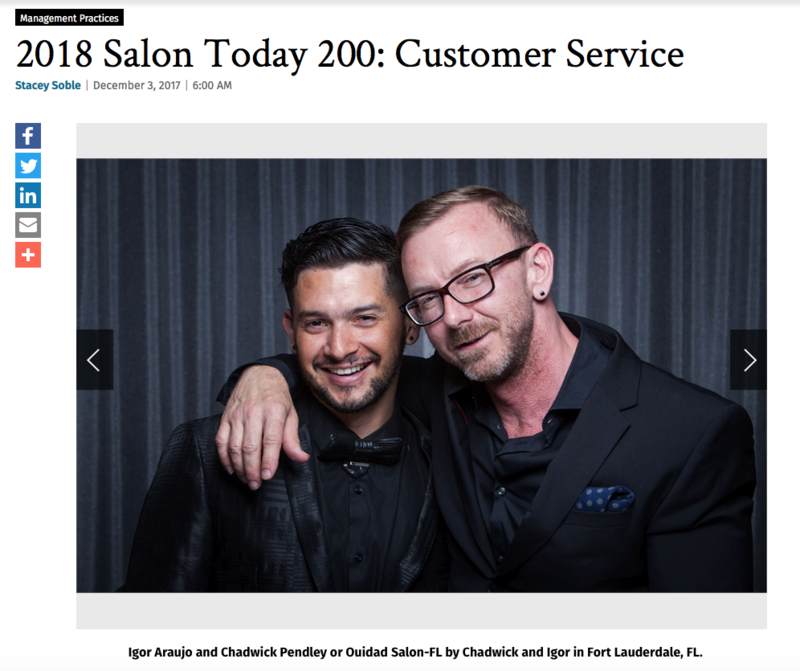 Award Winning Salon - Ouidad Salon by Chadwick and Igor - CHADWICK AND IGOR CARING FOR YOUR CURLS™ Curly hair, Best Hair salon in Fort Lauderdale. The south Florida home for curls. Chadwick and Igor and their team provide expert, curly hair styling using the award-winning salon specially formulated for curly hair. 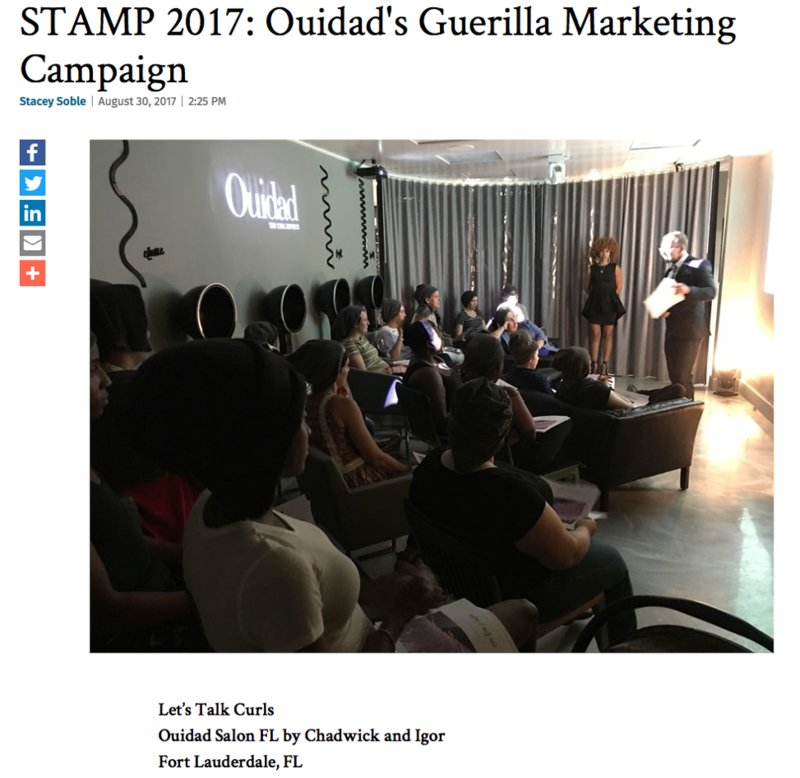 When Ouidad launched its Advanced Climate Control formulations, the Ouidad Salon FL started planning an introductory event as a way to honor their VIP clients. They hosted the company’s founder at a red carpet event, and invited the members of the salon’s VIP Curl Club. More than 50 clients and 16 guest stylists from other local salons attended. At Ouidad Salon_FL, the mood is set for individuals with naturally curly hair. Pendant lights and South American plants that accentuate the design both replicate the pattern of naturally curly hair, while the salon’s Learning Lounge offers an educational space where clients can learn how to care for their curls and other professions can get certified in Ouidad cutting and styling techniques. In today’s world, marketing efforts face mammoth hurdles. While technology has opened up new communication vehicles over the past several years, it also has amplified the competitive clutter and the world is responding with an ever-shrinking attention span. Your marketing message not only has to break through that clutter, it has to stand up and say something important, and do so quickly—before someone else yells even louder. 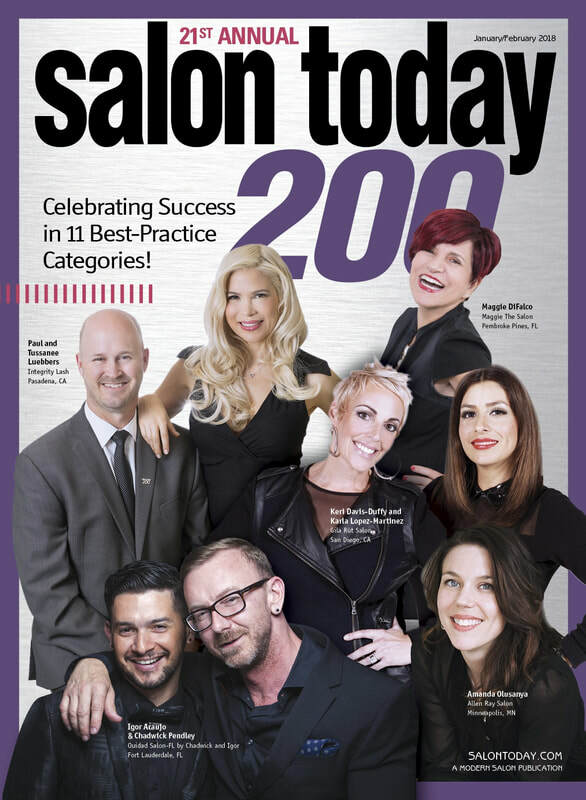 Taking root as one of the most popular Salon Today 200 categories, STAMP (Salon Today’s Annual Marketing Program) is an annual competition that puts the spotlight on salon and spa marketing ideas that make the world take notice. Each idea has been tested in the salon environment and has proven its success, and our STAMP honorees are more than happy to divulge the details on each one. Offered up in the spirit of beauty entrepreneurship, these marketing examples are ready for you to put your own stamp on them—as long as you’re willing to do your part and share your success with STAMP next year. So, click on each to read about that individual award, and don't forget to flag your favorites. For our 2017 Salons of the Year, The Boulevard Hair Company in Webster Groves, Missouri, captured the Grand Prize, while Dasi Salon in Livingston, New Jersey, Bella Rinova Salon in Houston and Champagne Nail Lounge in Los Angeles swept our runners-up categories. But that's where the gorgeous design inspiration for 2017 just gets started. 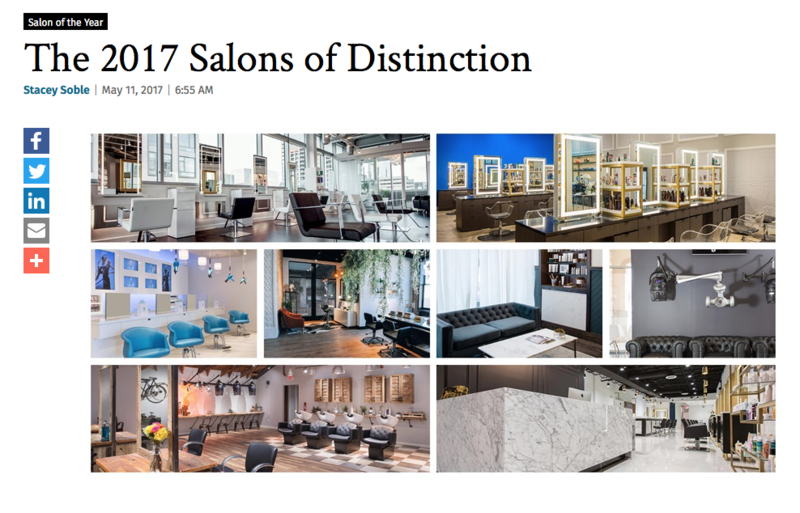 Sixteen additional salons and spas earned honorable mention as our 2017 Salons of Distinction. Whether you're gathering ideas for a future renovation or are making plans for a brand new beauty space, now is the time to start flagging or pinning your favorite design ideas. The average cost to conduct a class is $30, and the average class draws 15 guests and results in an average of $475 in retail sold, five new client bookings and nine re-bookings of existing clients. 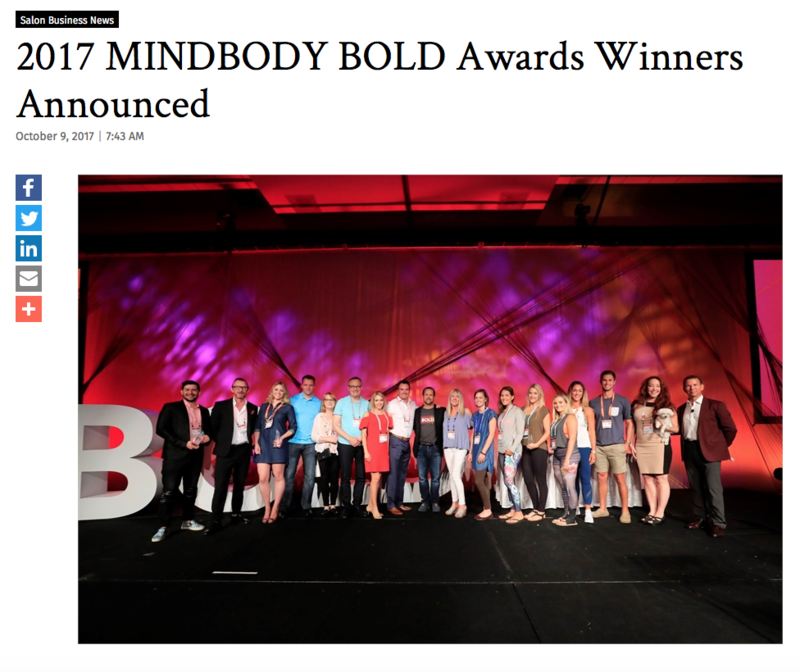 MINDBODY (NASDAQ: MB), the leading technology platform for the wellness services industry, announced today the winners of the 2017 BOLD Awards. The annual BOLD Awards program is the only one of its kind to recognize top businesses and professionals throughout the dynamic wellness services industry. Established in 2014, the BOLD Awards celebrate wellness services businesses and professionals from around the globe who have accomplished significant milestones over the previous year, and who have had a lasting impact on their clients and communities. 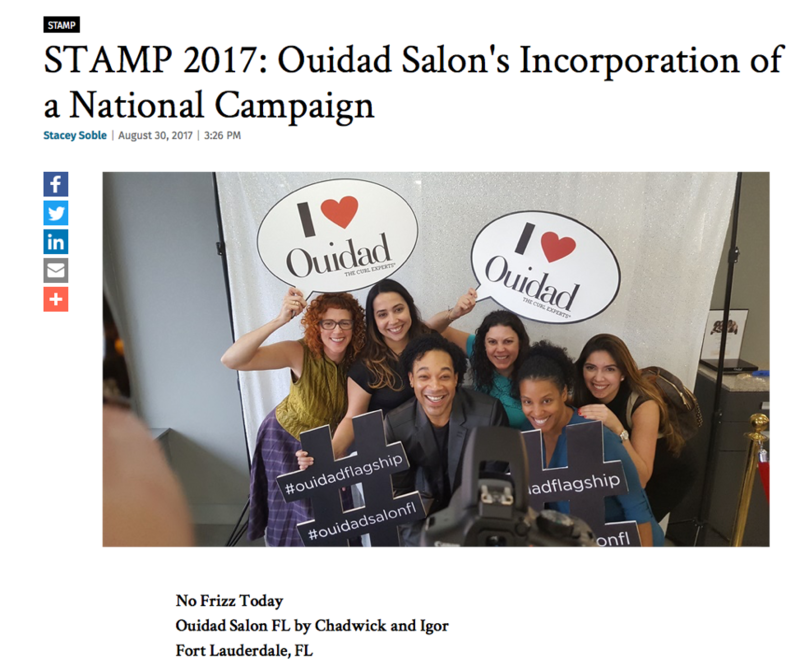 2017 marked the first BOLD Award win for a salon (Ouidad Salon by Chadwick and Igor), and for a Canadian business (SensaFloat Spa). BOLD Business of the Year - exemplifies what it means to be bold: taking risks, seizing opportunity and making a lasting impact on its community. True Grit Fit (single location) Uses boot camp to improve the community with workouts for breast cancer awareness and military nonprofits. Their success is evident by their 113 percent revenue growth and 104 percent client growth. Hapa Yoga (multi-location) Offers programs for new mothers and their children, including classes that address the physical and emotional aspects of motherhood. The studio saw 71 percent revenue growth year-over-year and was recently approved for franchising. Inspirational Instructor/Professional - inspires his or her clients in every aspect of their lives. April Wooten of Studio South April, a woman with cerebral palsy and a certified yoga instructor, serves as an inspiration to those intimidated by the practice. She is now working on a series of yoga videos for others with cerebral palsy. Most Innovative Business – has implemented unique ideas that have made a difference in its business and/or industry. InnerCity Weightlifting Reduces youth violence by connecting at-risk youth with new networks and opportunities, including meaningful career tracks in and beyond personal training. The gym is used to replace segregation and isolation with economic mobility and social inclusion, disrupting the system that leads to urban street violence. Most Compassionate Business – has done the most for its local community. American Iron Gym Implemented a tutoring program and trains at-risk youth in powerlifting as an incentive for good grades. Greatest Business Growth – has achieved the greatest revenue growth since July 1, 2016. Ouidad Salon by Chadwick and Igor (single location) Grew their revenue by 157% year-over-year. Hapa Yoga (multi-location) Grew their revenue by 71% year-over-year. Greatest Customer Growth – has achieved the greatest increase in customers since July 1, 2016. 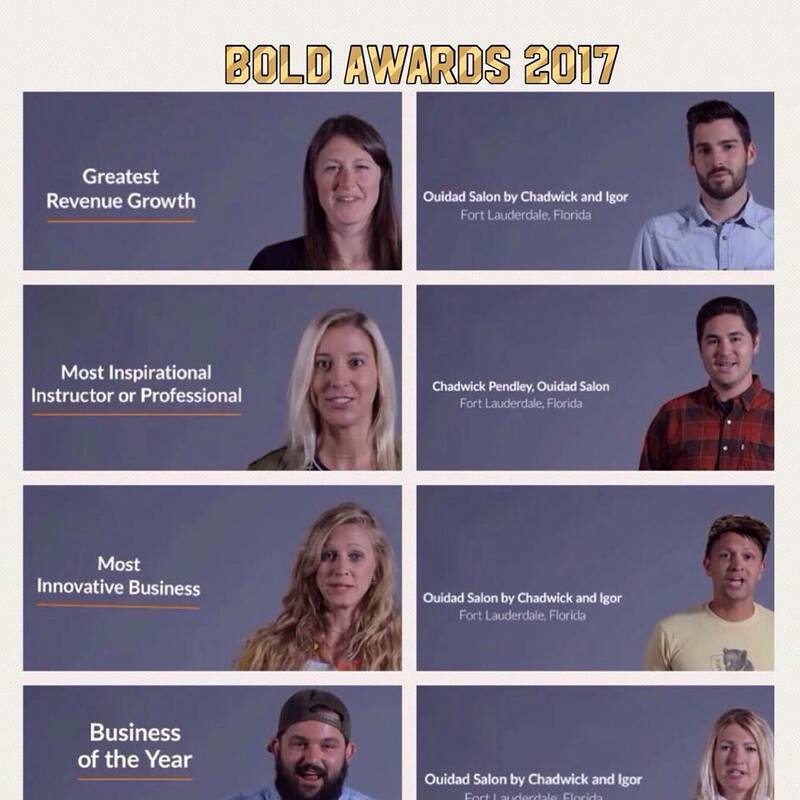 Recipients of the 2017 BOLD Awards were recognized today at MINDBODY’s annual BOLD Conference in San Diego, CA. The BOLD Conference brings together business owners, practitioners and experts from across the wellness services industry, from fitness to beauty to integrative health, to learn, network and gain a greater understanding of best practices that can help their businesses thrive. The 2017 BOLD Conference saw nearly 1,500 attendees with representation from 11 countries and with more than 200 conference alumni. MINDBODY, Inc. (NASDAQ: MB) is the leading technology platform for the wellness services industry. Local wellness entrepreneurs worldwide use MINDBODY's integrated software and payments platform to run, market and build their businesses. Consumers use MINDBODY to more easily find, engage and transact with wellness providers in their local communities. For more information on how MINDBODY is helping people lead healthier, happier lives by connecting the world to wellness, visit mindbodyonline.com.